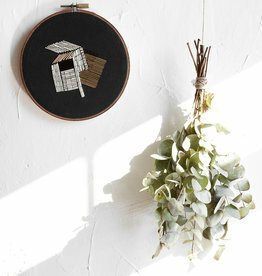 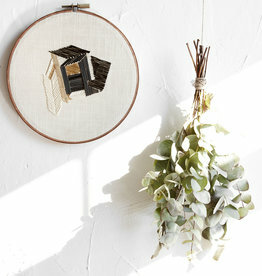 Adorn your walls with personal reliefs. 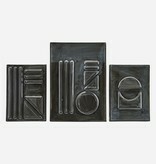 With Geometric Relief from House Doctor, you get a set of 3 reliefs in different sizes and designs. 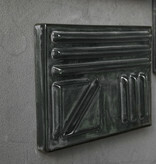 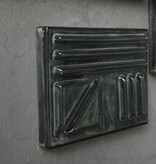 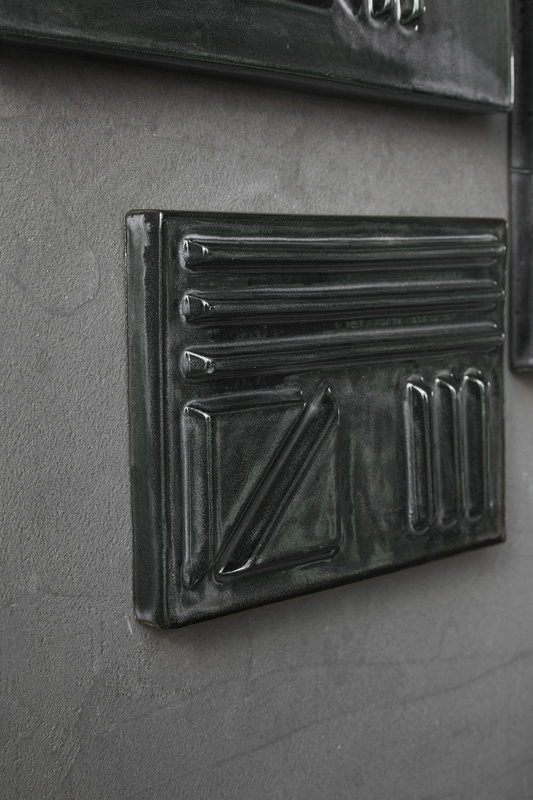 Reliefs are trendy in interior decoration now – but in an updated version with graphic and geometric patterns. 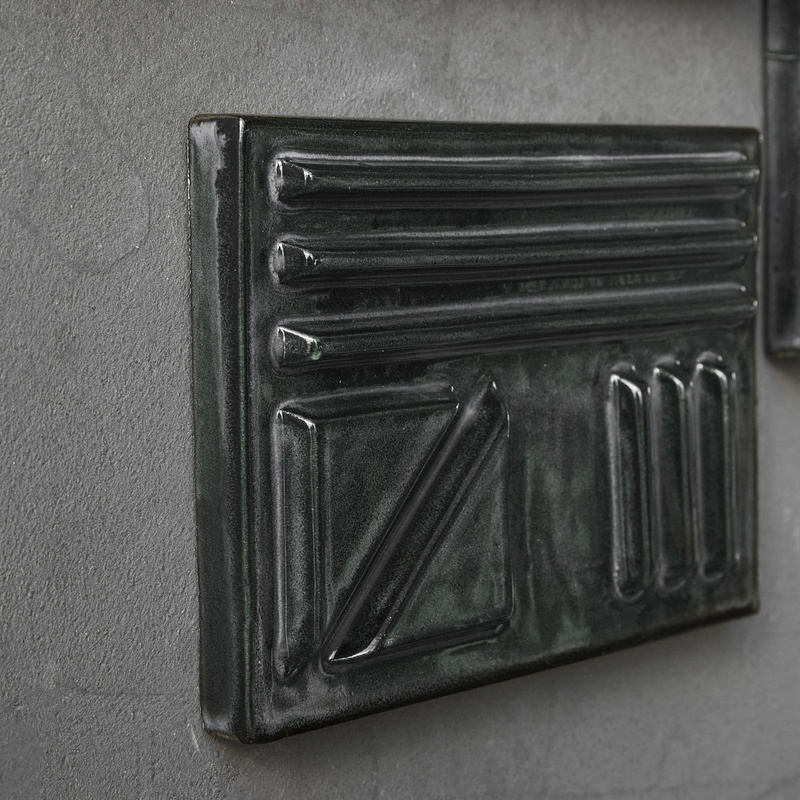 These decorations are made of earthenware in a stunning matte black shade that adds edge and new dimensions to your wall. 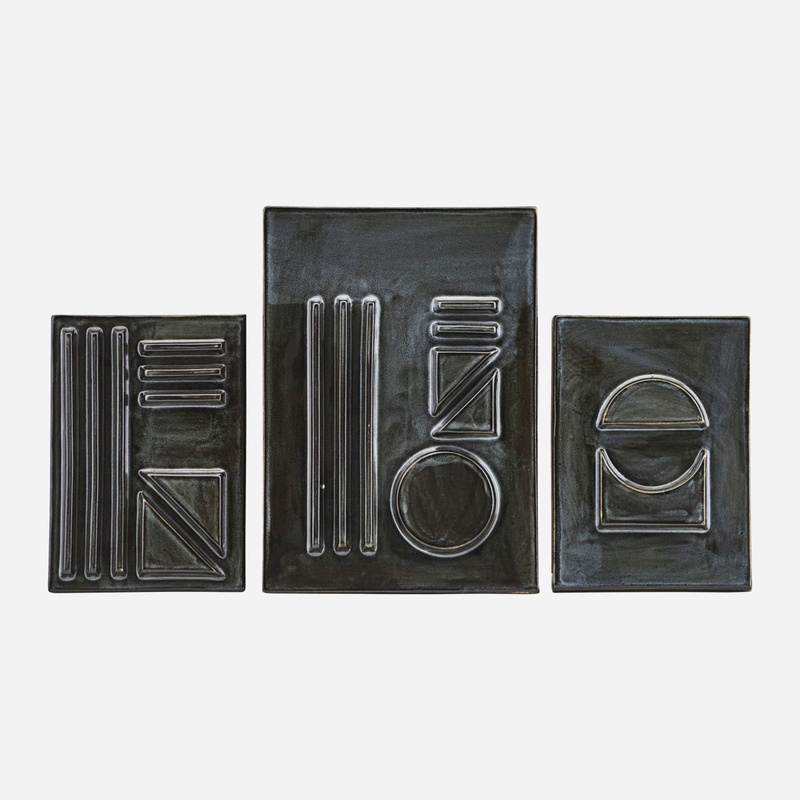 Use these reliefs together with posters, photos or a decorative wall clock to create a unique and personal look in your home.